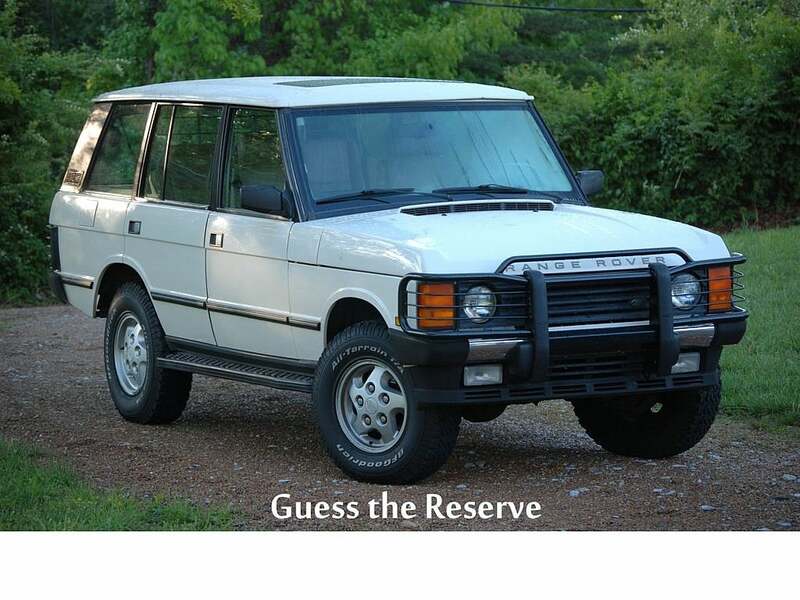 Today Second Daily is proud to present this Alpine White over Sorrel Tan leather 1995 Land Rover Range Rover Classic LWB (long-wheel base) for you to ‘Guess the Reserve’. 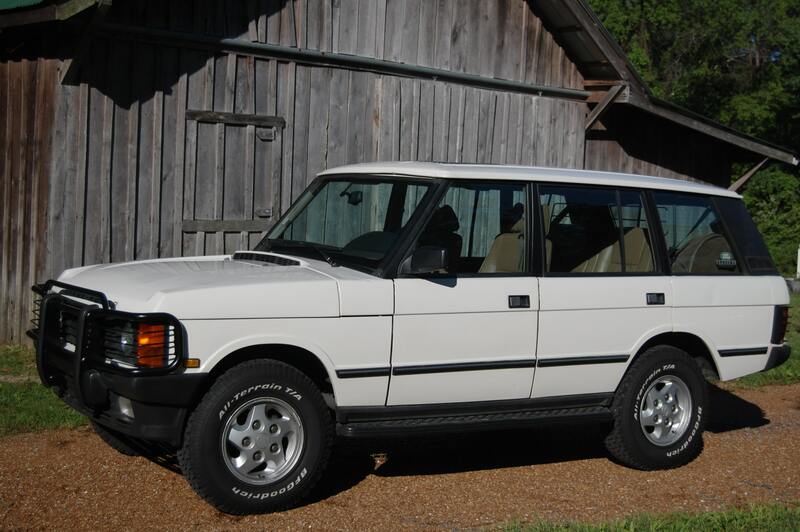 This is the last year of the original Range Rover, which would later become known as the Classic. 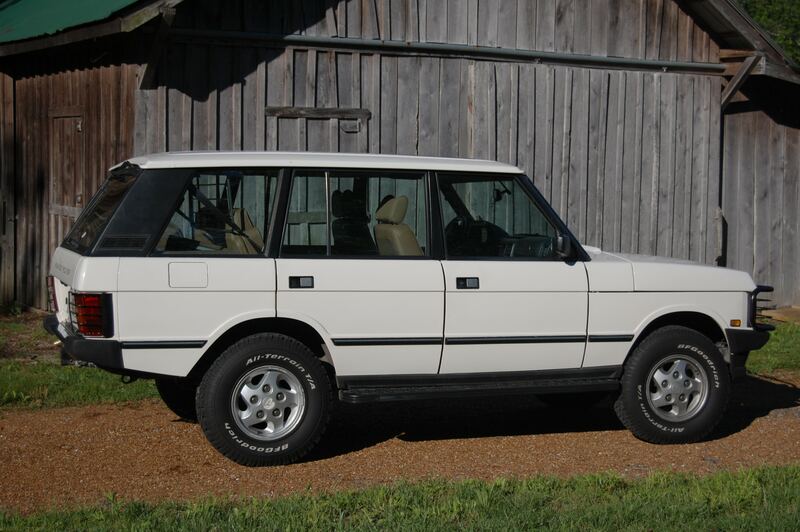 The very first Range Rover went into production as a 1970 model. It wouldn’t show up in North America though for another 17 years. 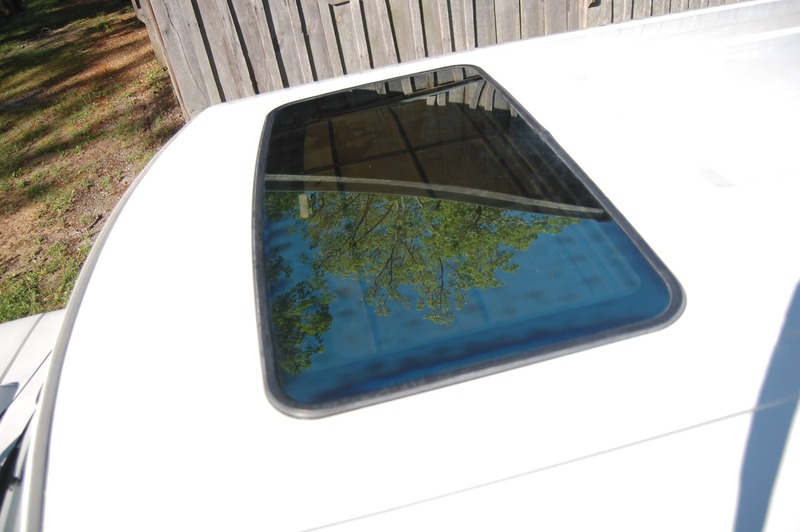 In 1993, the LWB was introduced along with the electronic air suspension (EAS). 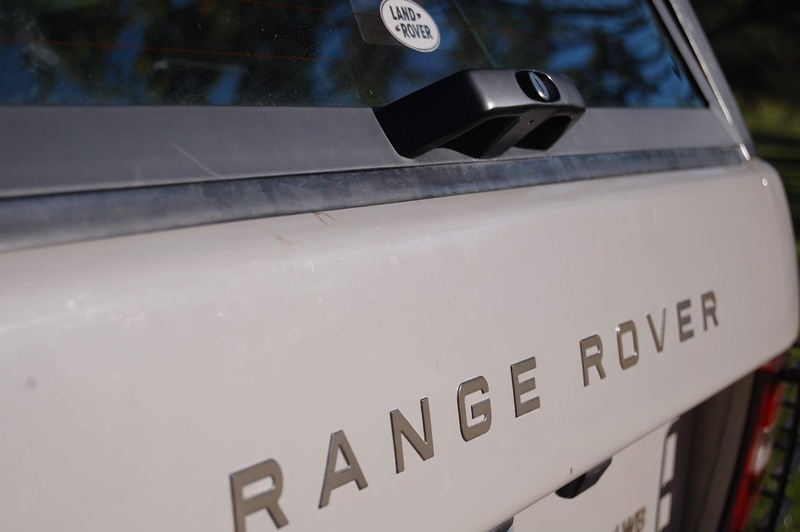 In 1995, the Range Rover received a major interior ‘upgrade’ from a hard dash with a rather quirky, yet endearing, layout, to a more modernized ‘soft dash’ with dual air bags. Upgrade is a relative term here…in reality, it was basically the interior dash components of the cheaper Discovery at the time. 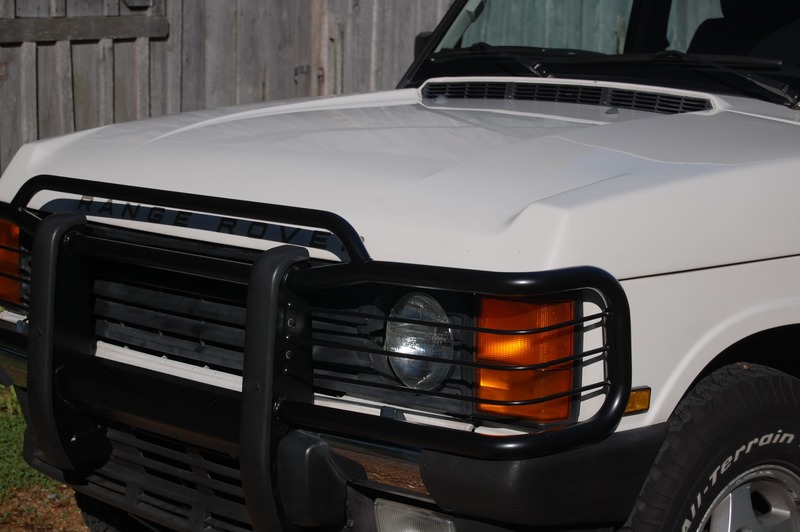 The ’95 soft dash does however bring a premium in the Classic market as it is the final year of the original Range Rover. This particular RRC is a rarity given it’s condition and originality. It spent the majority of it’s life in California and Georgia, absolutely zero rust presents on this example. 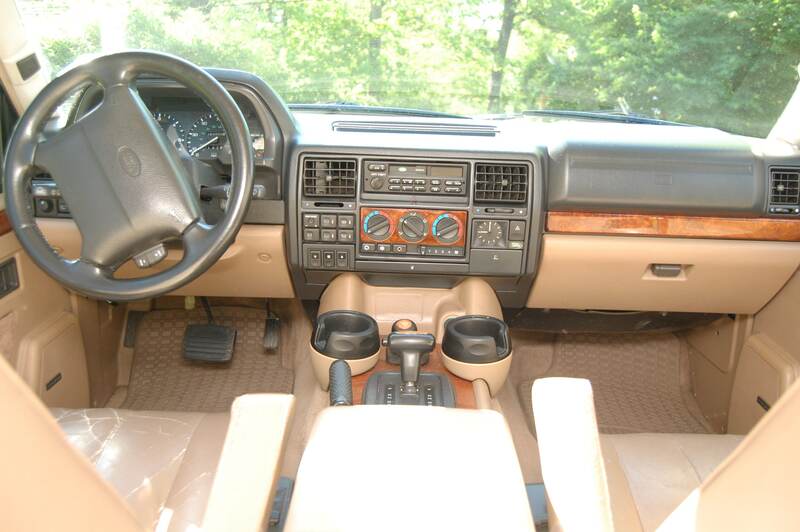 It is all-original except the EAS has been disabled and converted to coil springs and non-OEM floor mats are present. Some would say this is a selling point given the problematic EAS and expense to maintain and convert to springs. Other purists would argue this depreciates the value. 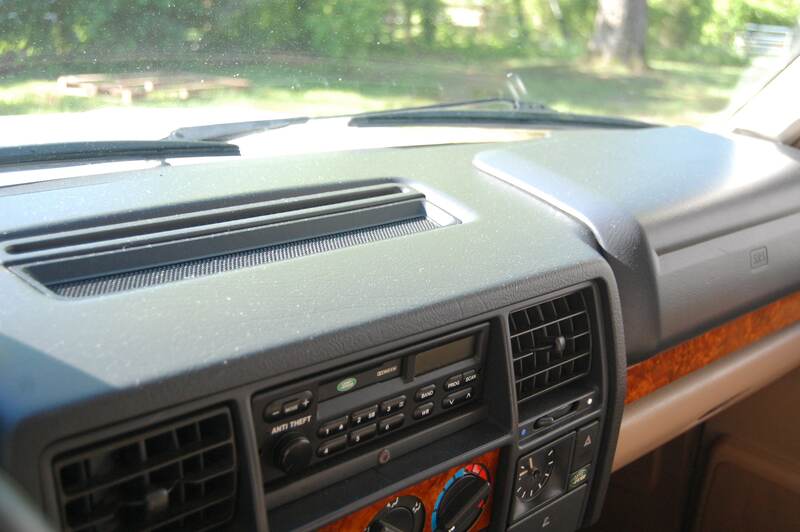 With 162k miles, it’s not a collector quality example so we’re ok to not see the EAS on this driver. The 235/85 BFG AT’s are nearly new with a matching spare as well fitted to 16″ cyclone alloy wheels. 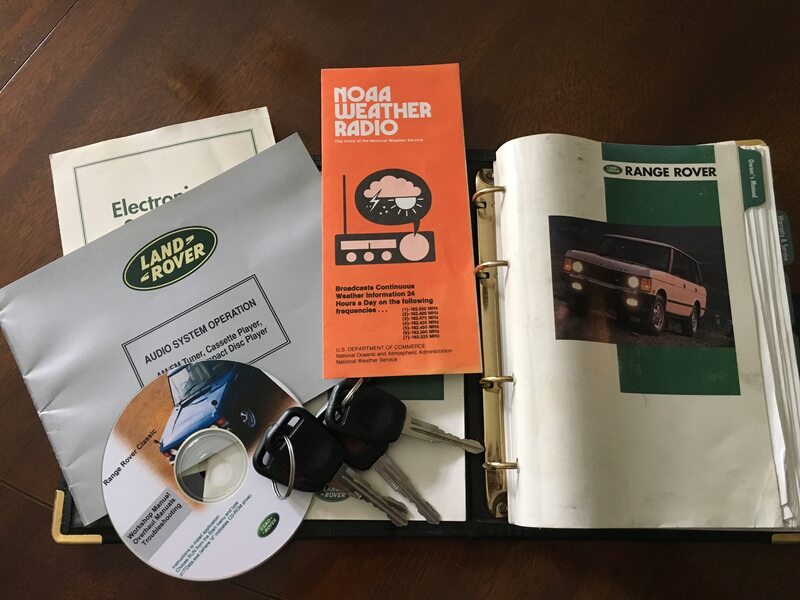 The original radio and 6-disc changer are still installed complete with security code cards, and complete door cards with intact speaker grill covers (yes, those are rare to still have). The paint shows no signs of clear coat damage, and no accidents are reported. 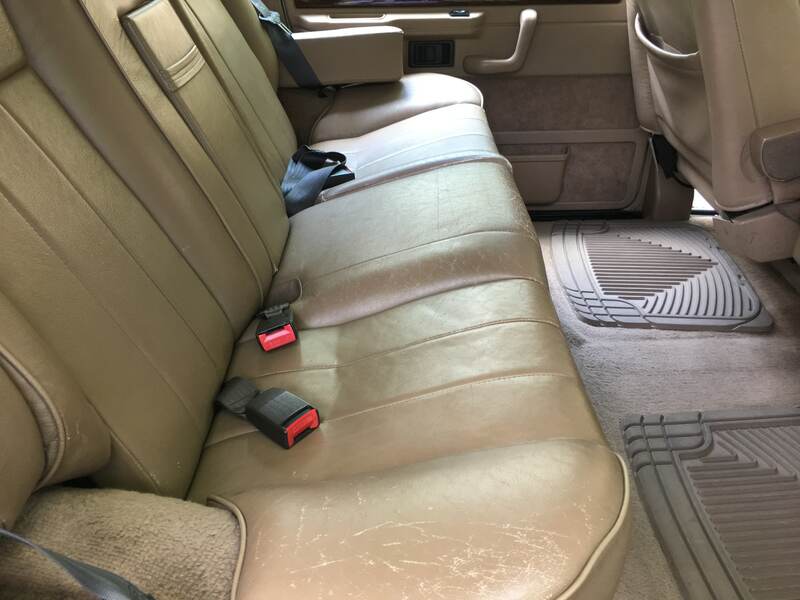 The front seats show wear and have been previously reupholstered, and they need to be redone to make this one completely polished inside. All electrics work except the rear windows (most likely the ECU board). The A/C blows cold and fan motor works on all speeds. 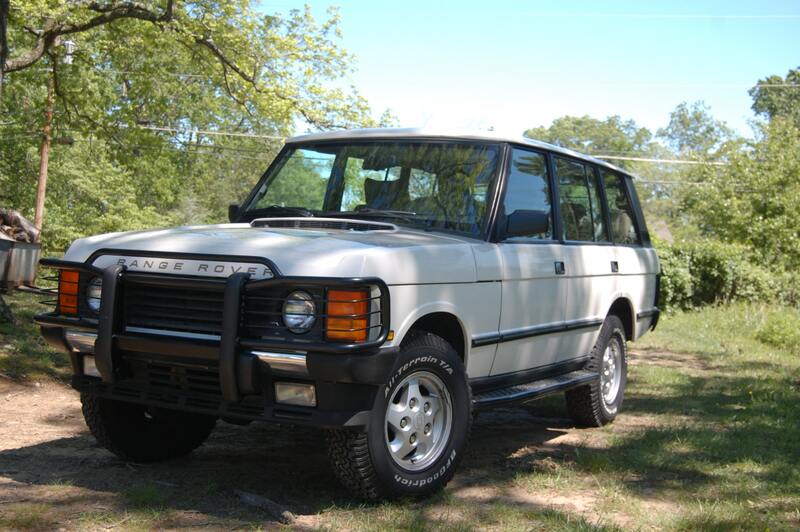 So let’s test your Range Rover Classic market pricing skills…what do you think this would sell for at auction? Register to comment below and happy guessing. 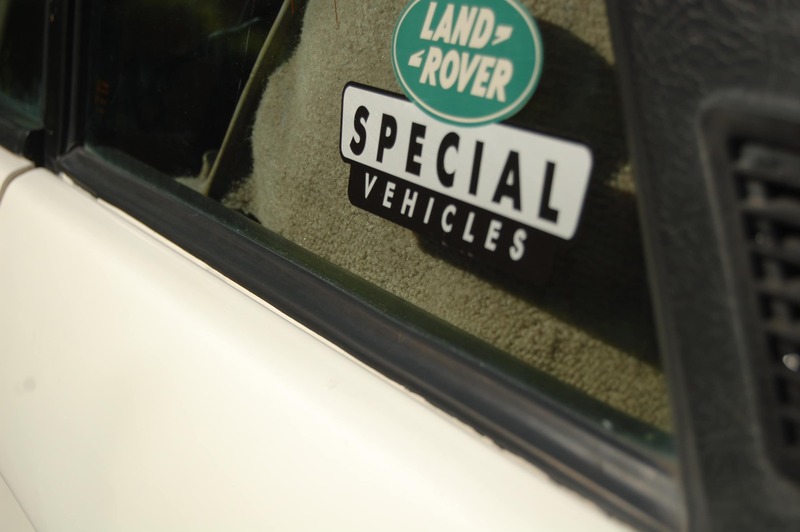 This entry was posted in British Classics, Sold and tagged British Classic, classic, Land Rover, lwb, Ranger Rover, swb.